Flat feet is a condition in which the arch on one foot or both feet falls, allowing the entire bottom of the foot touches the ground. One of the results of flat feet is that it forces the feet to turn inward, causing instability in your feet, ankles and legs. This can lead to more serious complications. As a podiatrist and foot surgeon, Dr. Legel can properly treat flat feet both surgically and non-surgically. 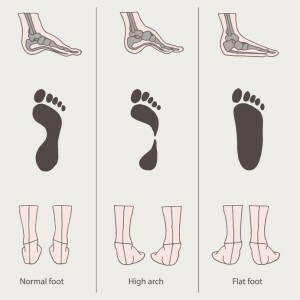 Our team has a vast amount of experience in treating flat feet. We always consider conservative, non-surgical treatments first. Some conservative options may include support inserts in shoes, physical therapy, stretching exercises, and changing the style of shoes worn. If these non-surgical options do not bring about the desired result, foot surgery may be recommended to relieve the pain. Our foot surgeon is currently seeing new patients who are experiencing flat feet. To schedule an appointment, call our Dallas clinic at (214) 366-4600 or use our convenient online contact form at the top of this page.